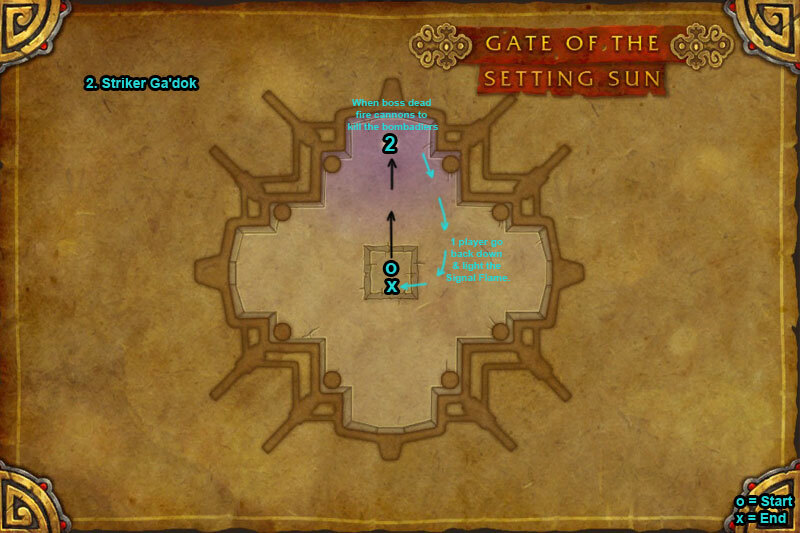 You can find Gate of the Setting Sun dungeon within Serpent’s Spine. Once boss dead go to the cannons on side of platform and fire them at the mobs in air. 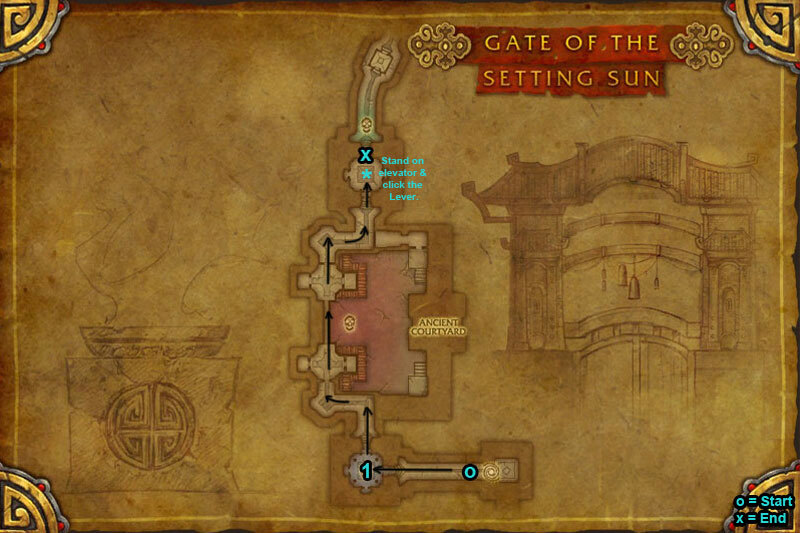 Go back down elevator and run past the pandas down the path to light the Signal Flame (48.0, 12.5). 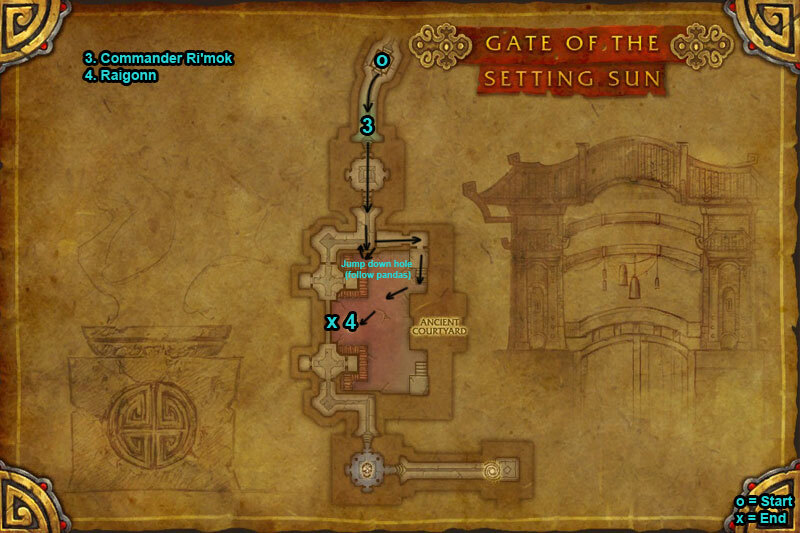 This will start the next part of dungeon, rest of group will be teleported to the same point after cutscene. Jump over the broken rocks and jump down again, you will take some damage but most players do this instead of running all way round down the steps. /i Throws explosives around room, don’t stand in line with any (stand on side) as line of fire goes in 4 directions. Stay near edge if you have Sabotage bomb on you. Stay spread during this fight. At 70% & 30% health detonates all explosives. /i Boss moves around platform, stay away from large patches of fire. Try to stay with tank as can get seperated. Devours a nearby player with Prey Time, healer be ready. Heal tank when hit with Impaling Strike. Tank get adds. Avoid Acid Bombs dropped. /i Tank keep boss moving out of green puddles. Pop cooldown or move out of frontal cone Frenzied Assault. Tank get adds. Careful of bombs. /i Tank stay on ground & get adds. Healer & 1 dps also stay. 2 dps go into cannons to hit bosses weak spot. 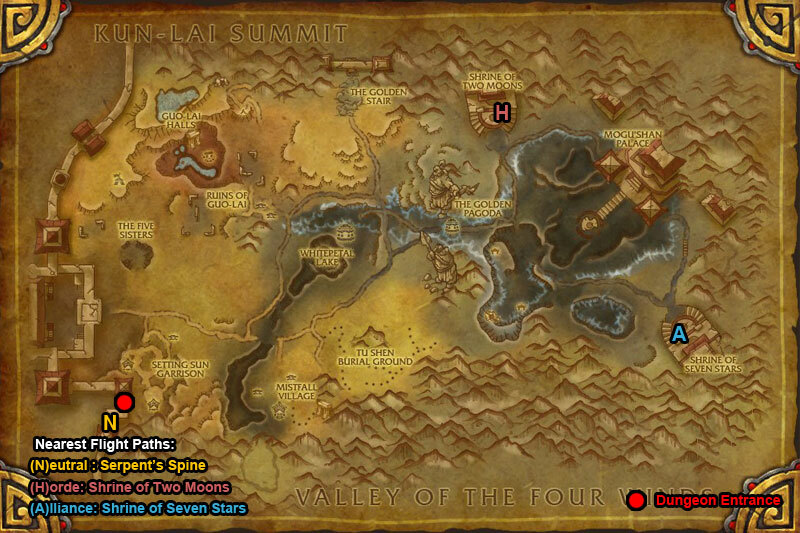 When dps knocked off help with adds, then jump back on. Once weak spot destroyed boss will fixate a player, run away while all dps finish boss.